The chillies which are green in colour is immature. The mature chillies are always in red colour .There are different variety of chillies which changes after ripening in different colours like yellow or brown. The hottest part of a chillies are its seeds which are in white colour. Red chillies are much sweeter in compares to other green ones. The only thing require is that we have to wash our hand after using red chillies as it can sting our eyes and face. Red chillies are use in different varieties of foods for giving spicy taste to the food. We can use chopped chillies to give tadka in vegetables and daal. Also we can use chopped chillies in topping of pizzas for hot touch. In world there are end numbers of variety available for chillies. Different culture uses different chillies as per there taste and availability. It is not possible to have every variety of chillies available in the same market. We are providing red chilli long which is not hot as per compare to green ones but add very good flavor to the dishes. Mostly it is said that the people with angry nature are supposed to use more chillies in there food. 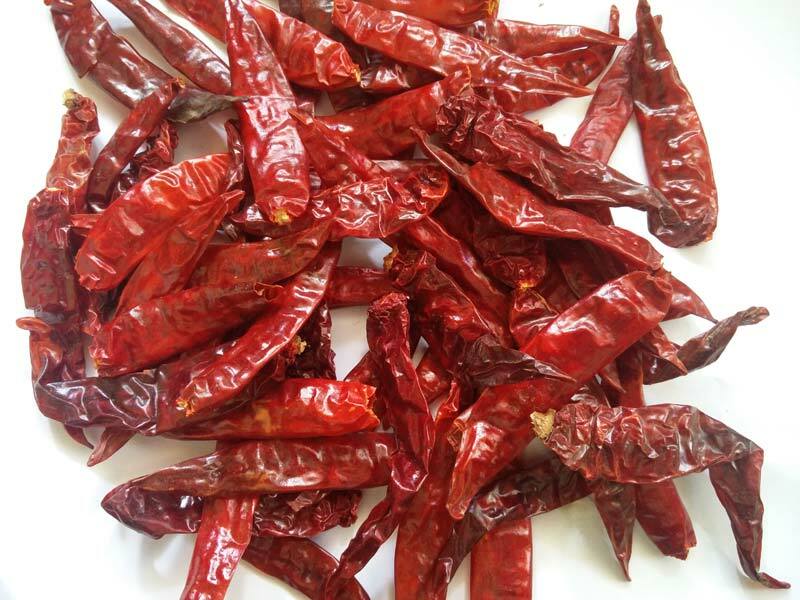 We are providing fresh red chillies as it contain capsian which is a biologically active ingredient by which we get benefits for our respiratory system, blood pressure and heart. But some time excessive spicy food cause our indigestion and heartburn.so we must always use chillies in correct amount and must avoid green chillies as they are hotter than red chillies. We are providing fresh chillies which are shiny deep red coloured, also crisp and unwrinkled ones. Also our quality is best we are providing bright and unbroken chillies which are healthy and in better quality. Selmax Exports is the leading Long Red Chilli Supplier and Exporter in India, Saudi Arabia, Canada, USA, UK.